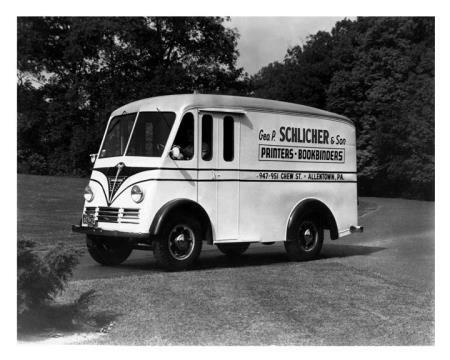 Here is an interesting delivery truck. Emblems removed. Photo from Don MacKenzie. 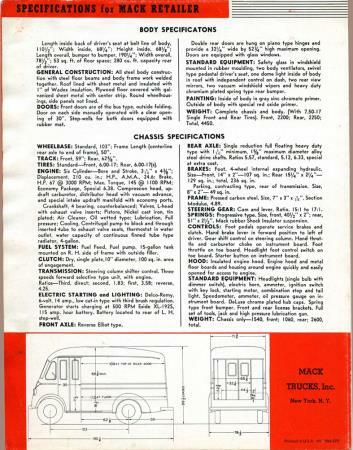 Mack Retailer here as well. 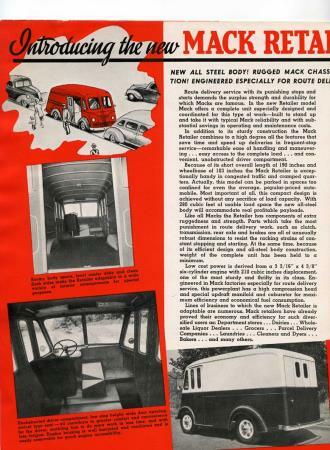 We can't fool the Mack fans, this is indeed a Mack MR or Mack Retailer. 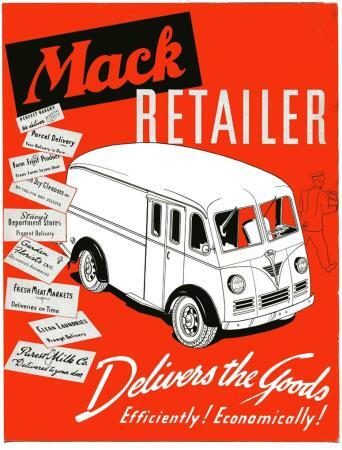 Mack built 290 MR's from 1940 to 1942. The MR did not return after the war. Brian Kelly had this first. Thanks to Don MacKenzie for the photo. 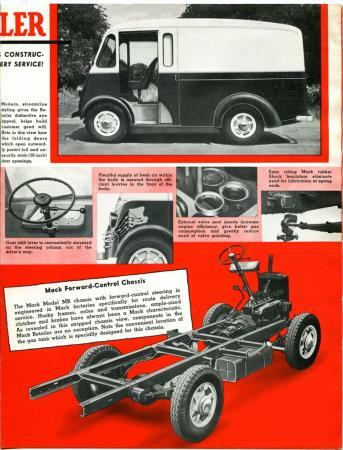 The MR brochure is from my collection.